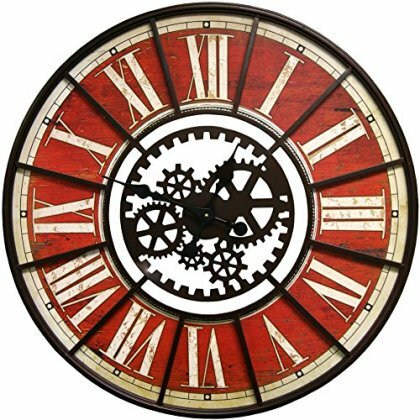 Large Wall Clock with Decorative Gear Look Red 32"
I purchased this clock and it is beautiful. Very well crafted and it's HUGE. So, definitely a focal point piece.